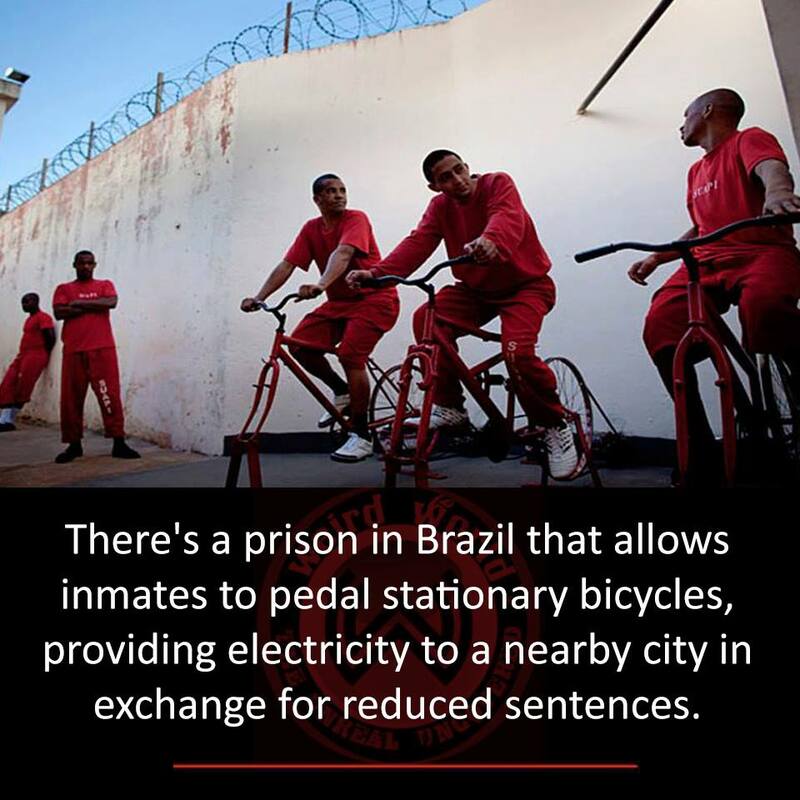 Prisoners in Brazil are having time cut from their sentences in exchange for generating electricity through exercise bikes. 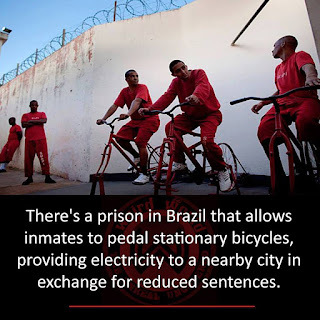 Right now this appears to only be happening in a small prison in Minas Gerais, Brazil, but this wild-sounding, yet efficient concept is pretty remarkable — especially considering all time inmates normally spend passing time confined in their cells. The energy created in this project is being used to light street lamps for the public. Beyond prisons, there’s so much untapped potential in the passive acts that people do everyday. Our constant movement (walking, running, cycling, sports, going to the gym, etc) can be used to generate electricity, but isn’t ever tapped like it should or could be.